What a beautiful card! The background is so pretty and what a gorgeous flower! Love the gold! I knew you would rock this topping as you are the queen of stencils as far as I am concerned! You didn't disappoint! Such a lovely card Shirley! Did you ever get my Birthday card? Give me a shout out if you didn't! 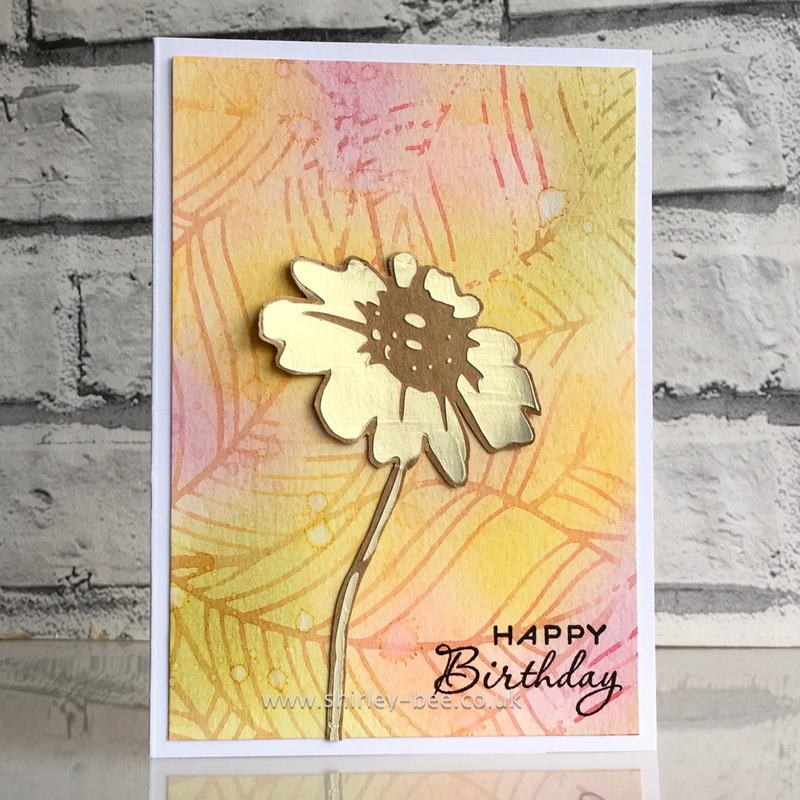 Shirley I love LOVE this card, have to go try gold embossing on kraft looks fantastic and then that background. Its stunning. You're background is stunning - absolutely perfect. This is beautiful Shirley! The background is amazing and how awesome you were able to recycle that pretty flower. Gorgeous card! The pop of gold on that soft background looks fabulous!